Men’s Shoes: You Already Know the Difference between Oxford and Brogue? You like men’s shoes but it is confusing with the names in English are used to describe the main styles? Know what is a men’s shoe oxford? Know what is a brogue male? If you still have no idea, no problem. When finished this text will be an expert! There are several types of men’s shoes. There are many styles and materials, ideal for the most varied occasions. 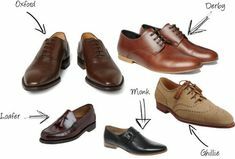 This is a small guide with all types of men’s shoes with laces. Still I’m not going into many details of how to use each one, but I’m going to explain the features and at that moment in time are more suitable, ok? To know these names? In addition to being interesting to learn about the traditions, knowing the names is useful when you can find a template on the internet and know what to ask for in the stores, especially when you are traveling. And remember: when buying a good shoe, take care of him! If you don’t know how, check out the tips for cleaning your shoe. What are the types of men’s shoes? I’m going to list the main styles of men’s shoes in order of formality, starting from the more formal until you get in the most casual. What is an oxford shoe male? The oxford shoe male has a key feature that defines it: the tying of the laces. In oxford, the laces go through holes made in flaps closed that are part of the leather that forms the side of the laces. 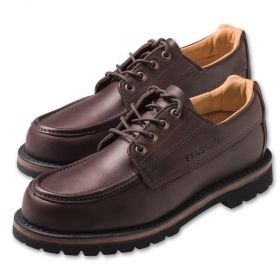 This type of men’s shoe has the so-called “closed lacing“, or tie closed. Notice in the photo above as the flap through which pass the holes of the laces only open vertically and are fastened at the bottom, where the side meets the upper at the top of the leather. In the seventeenth century men wore more boots than shoes. These boots were high and tight, riding, or closed by buttons instead of laces. These boots used to have jumps relatively high, a style popularized by Louis XIV, the Sun King of France. At the time, France was the cultural center of Europe and people lined their clothes to the French court. The main theory is that the use of this type of shoe began in the University of Oxford, in the eighteenth century. Not sure how the style has appeared but it is possible that the oxford has emerged from a half boot called the Oxonian Shoe. This low ankle boot had an opening with laces on the side. The half barrel was much more comfortable for walking on campus. With the time the barrel was the lowest up to expose the ankles and the tie went to the front of the shoe. I think it is unlikely that all the evolution has happened in college, but the story is cool and should have something of the truth. The most important is that the shoe was associated with the youth of the time, and his emergence is due to the search for more comfort. Now, ironically, the oxford is one of the shoes to tie more elegant that a man can have and certainly would be considered far too formal for the day-to-day in a university, even in England. There are some variations of oxford shoes. What defines the style is the opening more closed the tabs where the holes for the laces. The oxfords can smooth. They can be brogues, with perforations. They may also have a toe cap, or even be made with a single piece of leather. In spite of the construction (as is done in the shoe) does not have any impact on the design, I highly recommend that your oxford is made with the construction of goodyear welted or blaqueada. These buildings are more resistant than the shoes where the sole is simply glued on. Goodyear of more support and comfort to the feet of the one who is left standing a long time, and the blaqueada, although not as durable, have more flexibility. The oxfords wholecuts are shoes made with a piece of leather thru. Repairs as it has no seam in the leather. The sole is in the heel, and closing. It is very laborious to make a shoe that is so, then it is not a kind easy to be found. Generally, the less details the more formal a shoe is. Following this line of thought, the Wholecuts are very strict and usually used with costumes as well, formal as tuxedos. The front of the shoe oxford plain toe is smooth, without any detail. He is considered very stylish and the clean, understated look of a oxford plain toe black is perfect for a formal event in the evening. Now yes. What was missing was the toe in the front to balance with the seam of the moorings. The oxford cap toe has toe. Cap toe want to say this… this horizontal line on the nose of the shoe. It is a shoe that is simple and conservative, the ideal to wear with a corporate suit and even formal events. The shoe Louie that I did review, is an oxford brown captoe. The shoe derby or the blutcher, as well as the oxford shoe, are defined by the tying of the laces. The oxford has flaps closed, since these have the tabs open. Has a small difference between derby and blutcher but she is insignificant in my opinion. You can use the name that you want. To better understand the difference, look at the picture above. The derby is a shoe that is literally more open. It is more comfortable for those who have high standing, and as the tabs through which pass the laces are more distant, able to accommodate more types of the foot and allow for more adjustments than the oxford. Between the two types of mooring the derby is more casual, but these shoes can still be considered to be shoes formal, especially in the days of today. They are not as elegant as the oxford but, in turn, are more legal, and proper, with suits casual blazers and pants, pants, chinos, and even jeans. 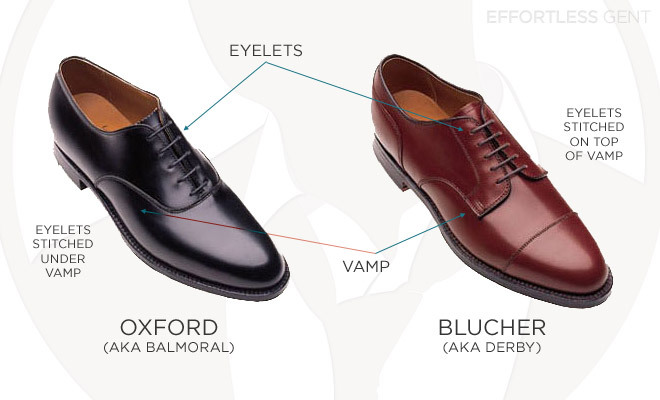 As well as the oxford shoe, the derby can also have variations in the details. I already did a review here on the blog of a derbie in leather pellets and a derbie in suede leather, both of Meermin. A lot of thing in the history of the shoes is speculation, but the name has something to do with the Duke of Derby. Like almost everything else at the time, were the nobles who invented the fashion for others to follow. Supposedly this duke had big feet and wide and had difficulty in wearing boots. Your shoemaker has developed a model of boot with laces that facilitated the life of the poor. The name Blutcher has a story well-told. In the nineteenth century all the armies of Europe calçavam boots. These boots were not as practical wear. One of the most popular models of the season was the Wellington boot, a boot without laces that came almost to the knee. This difficulty tired the soldiers, who spend a lot of time every morning. During the Napoleonic Wars an officer in the army Prusso named Gebhard Leberecht von Blücherredesigned the military boots to give more comfort to your soldiers and to expedite the preparation in the field of battle. The solution that he found was a boot with two flaps of leather below the ankle that could be joined together by shoelaces (source). What are the main types of Derby? There are several variations of the shoe the derby and they are virtually identical to the different styles of oxford, with the exception of the tie of the laces. Again, that differs from the derby is the way that is done, the closing of the shoe. In derby, the laces are tabs stuck to the side, and not in front of the leather. As well as the plain toe oxford, plain toe derby has the leather without details in the nozzle. Is the more formal of the derbys. What is in the picture is a little more casual because of the rounded shape and becomes robust, but the more elongated are also excellent with suits. Again, the laces are on the tab, so it is a derby. The cap toe refers to this seam, horizontal in the front. 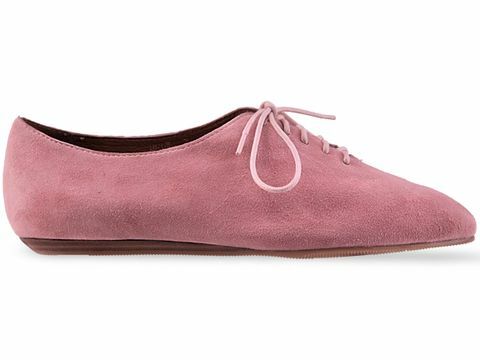 It is more formal than the flat, even though they are suede (which makes this shoe more casual). This is another “regrinha” that determines the formality of a shoe. The type of material matters and works more or less like the question of the details. Here, the more smooth and without texture, more formal. This is different, right? Continues to be a derby because of the position of the laces. The Norwegian, or Split Toe, has that vertical seam on the nose of the shoe, usually accompanied by sewing in a “U” at the top of the leather, known as “apron”. In many cases this sewing is done by hand. It is a shoe that is as well casual also, but that is cool with the suits. Please note: The term Norwegian can be also used for a type of sewing of the welt and shoe construction. Now let’s talk about brogues. Brogue is not a style of shoe. Brogue is a detail that may be present in a type of shoe (in a derby or oxford, for example) and even boots. The brogues are the decorations perforated in the surface of the shoe. These perforations may be in the most varied ways, as in the photo above. The source, as with most things in male clothing, it is functional. The custom arose in the field, where the holes were made to facilitate drainage of water. Because of the source workwear the brogue carries a spirit of casual. Is not well accepted with formal suits in countries with more traditionalist, despite being viewed as very elegant in Brazil. The advantage of this coincidence is that are legal with clothes stripped down, especially the brogues derby. There are several variations of the perforations. The most common are: the brogue full, half brogue, and a quarter brogue. The brogue full, or “full brogue” is also called “Wingtip” why the drawing at the tip of the shoe resembles the shape of the wings of a bird lifting voô. This shoe is characterized by a toe cap in the shape of the letter W, with extensions (wings) from the side of the shoe. The tip is perforated, and the outline of all the seams also. Look at the difference of the flaps where the laces! A boot can also be brogue, ok? It is the case that the boot Alden leather Shell Cordovan! When the drawing w, or the wings, give the back in the shoe instead of down the side, the brogue earns the nickname “the Longwing”, or hang long. A brogue with just the band in W in the toe-cap, no holes. Nicholas Antongiavanni said in his book, The Suit, that they were a solution that the shoemakers have created during the Second World War, when leather was rationed in England. The definition varies, but generally a “half/semi brogue” has the perforations at the tip but rather on the wing, has a toe cap. A quarter brogue is when the shoe has no hole in the tip, just a “cap toe” with perforations. There are many variations and the shoemaker can use the creativity. 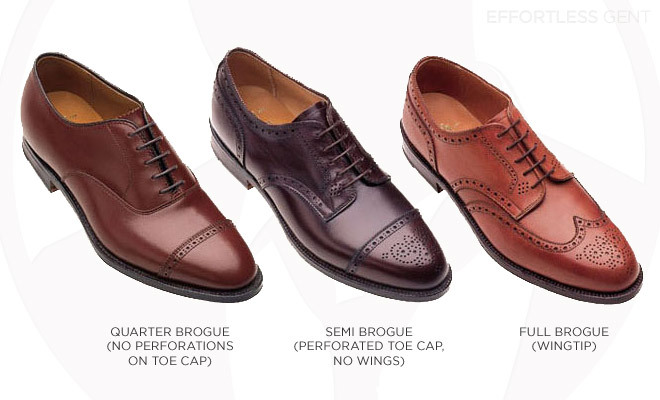 Seen as there are many styles of brogue, both for oxford shoes how to shoes derby? Start to repair also in the format of the shoes and the material. These details will influence a lot on the level of formality of the shoe! It is a brogue with color variations. Very casual style popularized in the era of jazz. I need to search for the origin of the name “saddle shoes”. I imagine that is because the difference in color somewhat resembles a horse saddle. 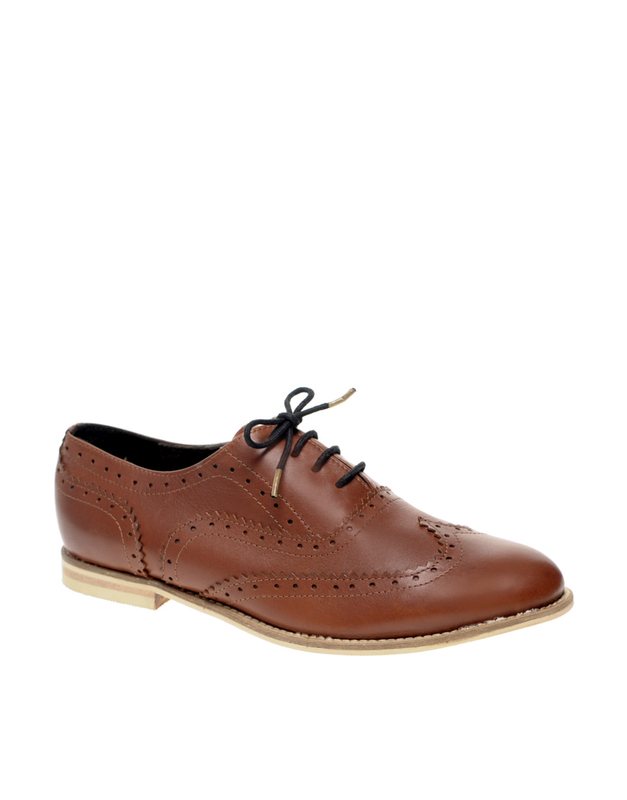 Can be a oxford or not, depends on the laces. Notice that this still has the holes brogue leather more clear. The two main models of the shoe tie are the Oxford and the Derby, differentiated by the mooring system of the shoe laces. Cap toe and plain toe are some of the adjectives that describe details of the oxford shoes and derby. Among these details are the brogue, holes decorative on the shoe. 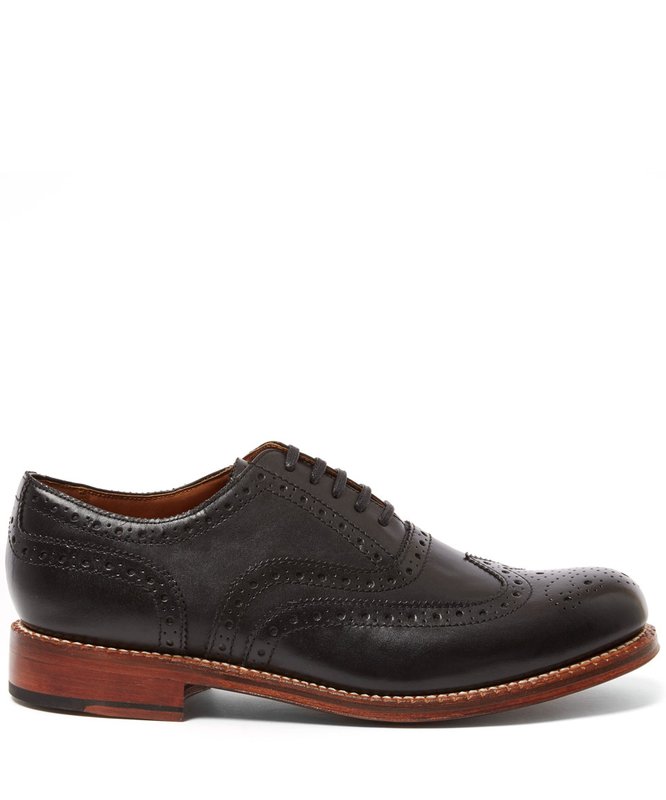 The wingtip, or full brogue, is the most complete. The more holes, the more casual the shoe becomes. Another interesting detail with footprint retro is the variation of colors in the spectator saddle shoes. All these details make the shoe more casual, following the general rule that the more clean is the leather of the shoe, the more formal it is. All of these styles of shoe are quite traditional, with rich stories. Some do not have the same connotation as they had in the past, and may be more or less common in the days of today. 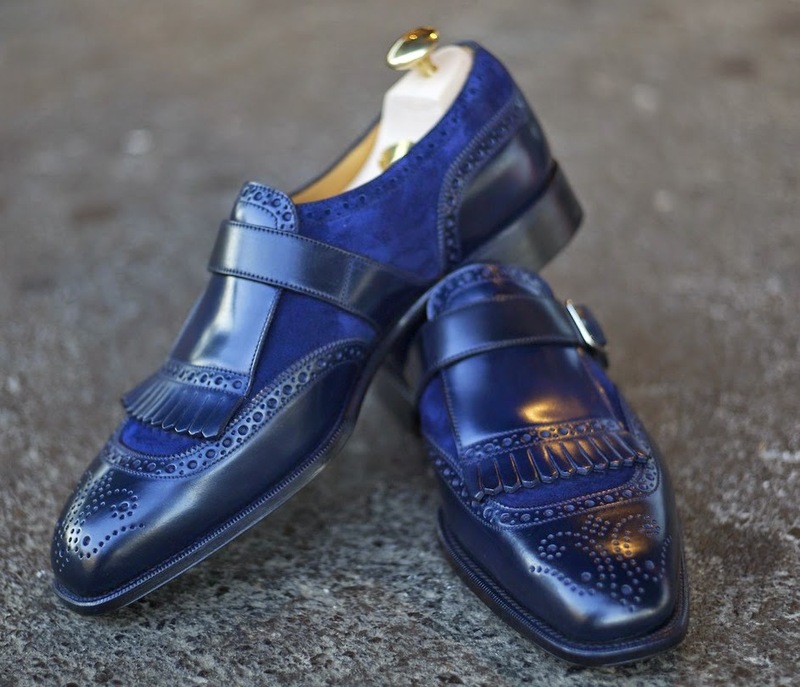 Each has its own degree of formality, which takes into account various details such as the mooring system, the color, the type of leather or material, amount of brogue, and even the type of outsole and turns. The saying goes that before you break the rules you need to know about it. Knowing the amount of style options available also helps you to assemble your style with elegance, and the possibilities are many. In addition to details and styles, it is also important to know what is a shoe good and what is a shoe bad, to make a purchase as well informad! 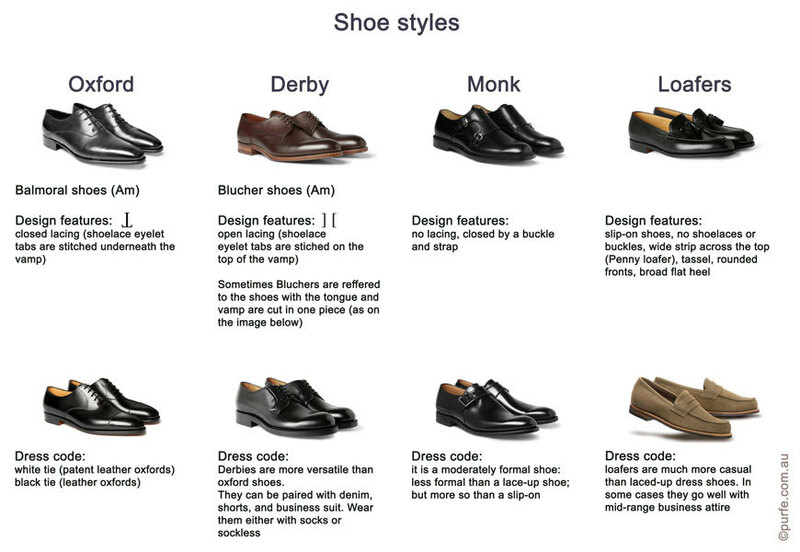 Soon I will make blog posts about how to use each type of men’s shoe and which are suitable for each situation. Short the blog page on Facebook to stay connected with all the news and leave your comment with questions, questions, and suggestions. I hope that you have enjoyed learning about the different types of men’s shoe with laces. I would like to invite you to follow the Instagram blog. There, I share what I have used, I do reviews of products that I bought and much more! Reaches over, and let’s exchange idea on the shoes of quality! How Well Do You Know Your Men’s Black Brogues? This Winter Will Carry The Shoes Oxford Would You Sign Up?